90.3 WHPC is "The Voice of Nassau Community College." Jacob Valk, Eric Fischetti, Nick Ohrnberger, Matt Charkowick, Sam Eisenberg, and/or Eleanor Ciampi break down the latest and greatest in sports. Also, keep an ear out for exclusive interviews and listener phone calls! Twitter: @RealJacobValk, @SargentFish, @NickOhrnberger, @MattyCsports, @eisenberg_sam, and @ellehockeymaven. Join Award winning sportswriter Tim Leonard & NCC alumnus Rob Leonard (yes, they’re brothers) as they discuss sports, media - and sometimes family matters. Hosted by Ellen Kamhi, Ph.D., RN, this program focuses on current issues in natural health, such as natural foods, herbs, essential oils and mind-body techniques. Duffy Spencer Ph.D. offers skills to better your relationships with family, friends, and co-workers. Learn valuable information about the law from Attorney Kenneth Landau and his expert guests concerning all areas of the law including criminal, wills and real estate - and about your right to sue and what to do if you are sued. A show committed to sharing the success stories of distinguished Nassau Community College alumni. Hosted by Aurora Workman, President of the NCC Alumni Association, and Dr. Lynnda Nadien, a proud NCC graduate. Join the “Motormouths” Ray Guarino and Joe D. for features, information, guest interviews, tech tips, and your call-in questions on all topics relating to automobiles. Nassau Community College students & WHPC volunteers explore clubs, organizations, businesses, and issues in towns across Long Island, in both Nassau & Suffolk counties. Produced by Jim Green. Find out what you need to know to start your day the right way. Tune in to find out what’s trending - and maybe laugh a little, too. This series explores Nassau Community College's rich educational environment, including the dedicated faculty, administration, student clubs, and events on campus. Host Natasha Nurse, Owner & Co-Founder of Dressing Room 8, Co-Host of WokeNFree, Lifestyle Editor of Plus Model Magazine and Adjunct Professor at Nassau Community College, highlights the amazing and dynamic work of change agents. Natasha interviews business owners, coaches, innovators, and thought leaders in various industries who ... Maggiori informazioni are eager to educate, inspire, and motivate you. Host Bill Horan helps listeners uncover hidden talents to maximize individual success. Hosts Jake DiMisa, Dominick Arbolino and Joe Sorrentino keep you updated about the latest and greatest in sports. A connection that's been together for three years stays together now on Spreaker. NCC Student Sarah Albertson talks with people who have done positive acts around the United States. Hear stories that will brighten your day, and show you the “brighter side” of the world. Host Andrew Zucker and the WHPC Sports Staff cap off the day with discussions on the hottest sports topics featuring listener phone calls and special guests. NCC alumnus Justin Greenberg and Anthony Tartamella recap the week that was in the WWE, and previews upcoming matches. Plus, listen for a spotlight on independent shows coming to Long Island. Join the WHPC staff for a week’s look at the stories shaping the Long Island community. Hosted by NCC alumnus Bill McIntyre. Listen as Newsday reporters talk about the stories they bring us in print and online every day. Tower Talk highlights the best of Long Island by providing “all access” interviews with the NCC Foundation Business Leaders Council, top entrepreneurs, and local business owners who will discuss a range of topics that impact both owners and executives alike. 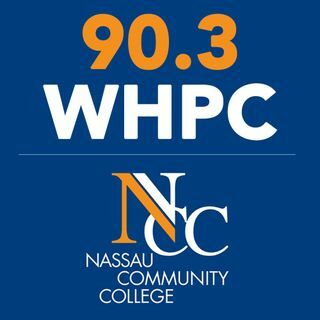 The Voice of Nassau Community College - 90.3 WHPC - also available on the iHeartRadio app!!! WHPC hosts talk anything and everything in the world of sports. Professor Jeanine Cook-Garard from the Nassau Community College Nursing Department discusses health issues concerning all of us.